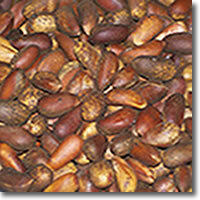 NM Pinon Nut Co, Lowest Prices and best quality! Thanks for 3300+ Facebook likes & reviews! Click to read b4 u buy! 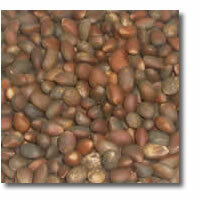 Paper-shell Piñon On Sale now! - EASTER SALE! All others sold out of NM Piñon last year! Scroll down for larger quantities and discounts. Read real testimonials like "Best piñon I have ever had... with fast shipping"
We have FRESH 2018 piñon! The #1 reviewed piñon seller - 3300 facebook Reviews and Likes - click& read! We sell for way less than locals pay in Albuquerque- DO TO THE SMALL 2017/18 Crop - TODAY in Albuquerque a half pound is 8oz is $25 - (The 6x6 inch sandwich sized ziplock bag is a 1/2 pound) Our 3/4# is 12 ounces, 1 pound is 16 ounces with packaging... & you didn't have to drive! Read our reviews!!! They actually have a hint of salt. Leave your review on FaceBook! Read real testimonial like "Best piñon I have ever had... with fast shipping"
Read 100% positive reviews of these on our facebook page! Satisfaction Guaranteed - Wholesale 50 lbs minimum! Easter SALE Prices end soon! 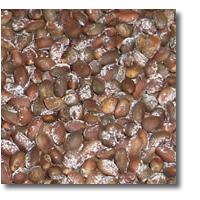 The #1 reviewed piñon seller -- click & read reviews of these nuts!! 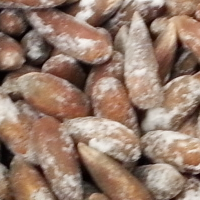 Shelled Pine Nuts - NM Piñon flavor without the shell! Fresh crop! lightly roasted ready for recipes! 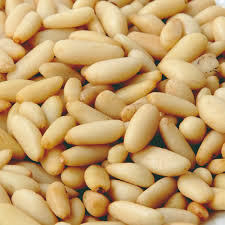 The highest quality shelled pine nut in the world. READ THE REVIEWS! We sort, clean, and slow oven roast in a process that we think is second to none. 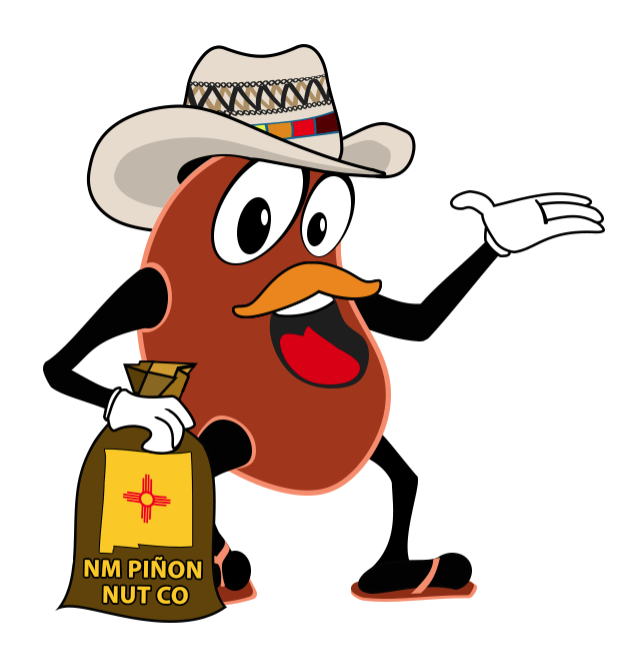 2008-2017 New Mexico Pinon Nut Company, llc / Pinonnuts.com ALL RIGHTS RESERVED.